I’m a little late with this review but it’s from one of my favourites boxes, Treatbox. The people at Treatbox are so lovely and I always love their boxes. The boxes contain a range of lifestyle, home and beauty items as well as occasion food items. I love that each box has a specific theme and this months theme is all things spring and floral. 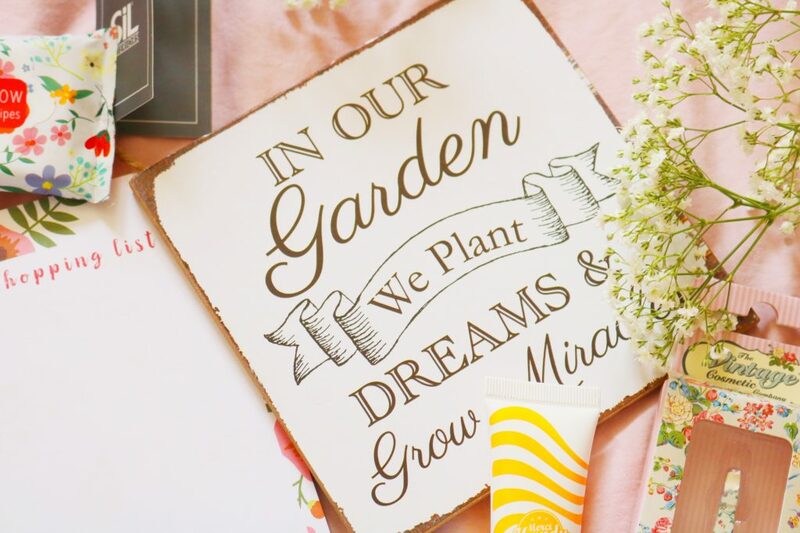 The first item is a cute wooden sign (£5) with the quote ‘in our garden we plant dreams and grow miracles’ which is such an adorable quote. I love the style of this sign, it would look great in our summer house or in the green house. Treatbox boxes typically have great homeware signs and plaques, most of which I love. You could have received this one or another cute garden related sign. Sticking with the gardening theme, a packet of sunflower seeds (£2.50) were included in the box which is perfect for this time of the year. I’m never been very good at gardening, mainly because of my aversion to bugs of any kind but I’ll definitely plant these soon. 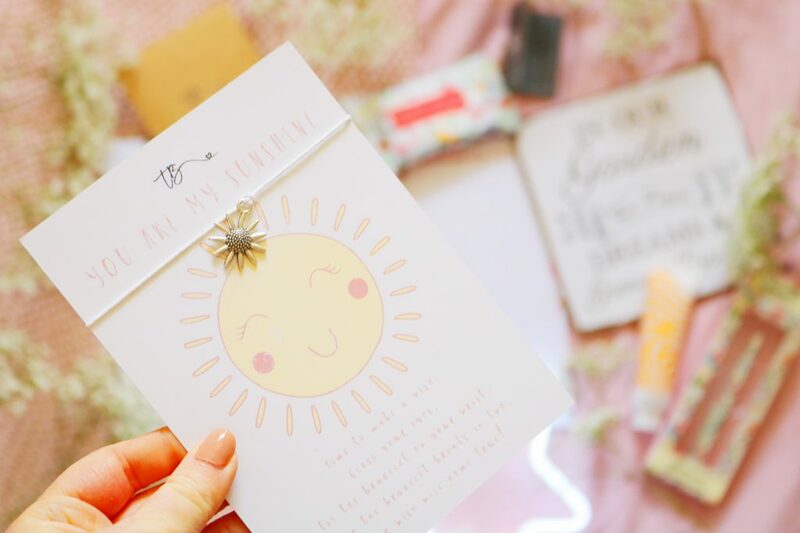 There is also a very cute flower themed print in the box as well which features adorable hand drawn illustrations. 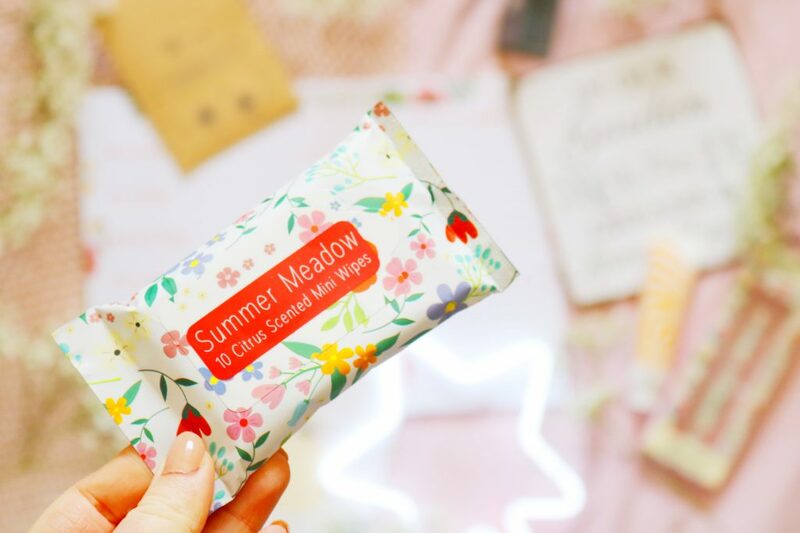 There are a couple of beauty items within this months box and one of them is a great travel item as it’s a pack of citrus seasoned mini wipes (£1) which would be great to keep in your handbag, travel bag or suitcase. Additionally they’d be great for any upcoming summer festivals. As a packet of sunflower seeds were included in the box, there’s also a cute sunflower wishing bracelet too which is adorable. While it is cute and I love the backing card it comes with, it isn’t something I’d wear but I’m going to pass it onto someone who’ll love it. Another beauty item and it’s from brand I’ve tried previously and loved, Merci Handy. I love their facial mists so I was interested to try their hand creams. The hand creams seem to come in matching scents. 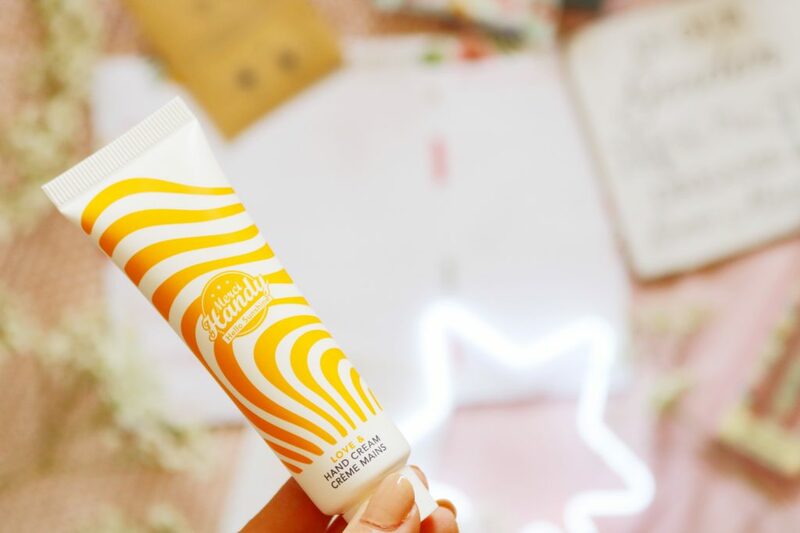 I have the ‘hello sunshine’ scent which is so nice but you could have also received the ‘flower power’ scent. The penultimate item is one I completely forgot to photograph individually and it’s an adorably illustrated weekly meal planner pad (£4). 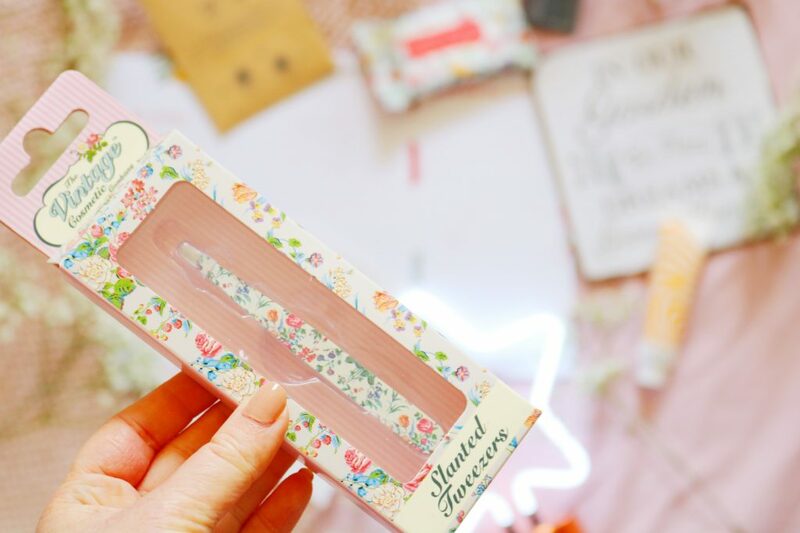 I love stationery so I’m always happy to receive more! Last but not least is a pair of adorable tweezers (£8) from the Vintage Cosmetic Company. I’ve tried a couple of products from this brand and really liked them, especially the floral design and I know I’ll love these. 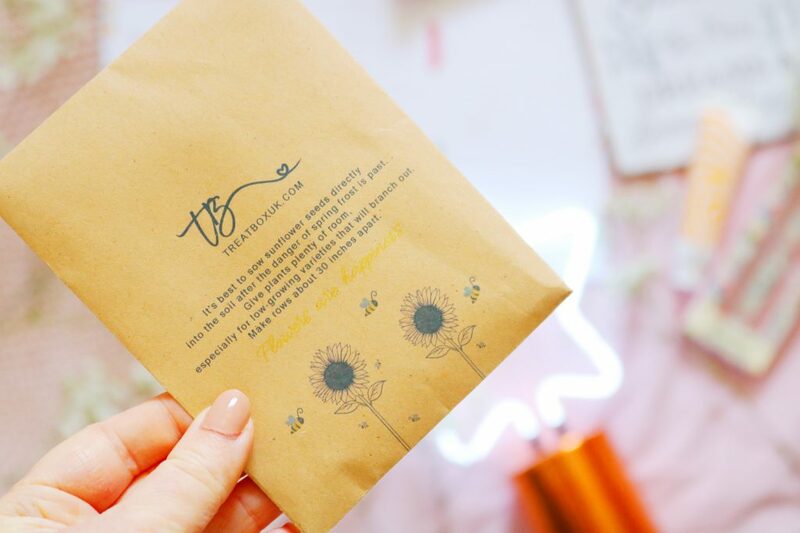 The packaging and product design is gorgeous and it might be tied with the hand cream and seeds as my favourite product from this months box. 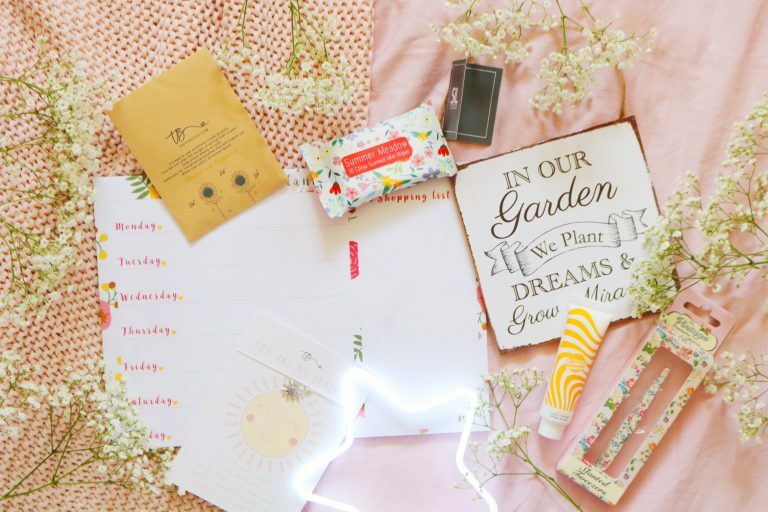 Overall, while it isn't my favourite Treatbox, I loved the theme with my favourite products being the hand cream, sunflower seeds and tweezers. I cannot recommend Treatbox enough!